Rosapenna in Co Donegal. Where will it rank amonst Ireland’s favourites?Complaining about golf course rankings is a popular Irish pastime. Now here’s your chance to have your say in a new ranking of Ireland’s top seaside courses. GOLFING Weekly, Ireland’s only weekly digital magazine [it’s delivered every Monday to over 42,000 subscribers], is asking Irish golfers how they would rank Ireland’s top 50 links and seaside courses. The final rankings will be published in Golfing Magazine and Golfing Weekly on the 15 September before a new public vote on the top 100 ranked parkland courses in Ireland, which will be published on the 1 November. Once your vote has been registered, you could the the lucky reader to win a Nikon range finder worth over €350 as well as a four ball at the course you rank No 1. So far, almost 1,000 golfers have cast their vote so don’t miss your chance to have your say. Mount Juliet in Co Kilkenny has been voted Ireland’s top parkland course by Backspin Golf Magazine.The Dunluce course at Royal Portrush and the Jack Nicklaus designed Mount Juliet have been voted Ireland’s top links and parkland courses respectively by a panel of 55 experienced golfers in BACKSPIN magazine’s 3rd biennial Course Rankings poll. The Palmer Course at The K Club. 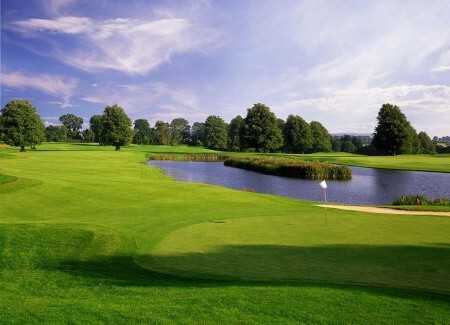 Just three courses from Northern Ireland made Golfing Weekly’s list of Ireland’s Top 50 Parkland Courses for 2014.